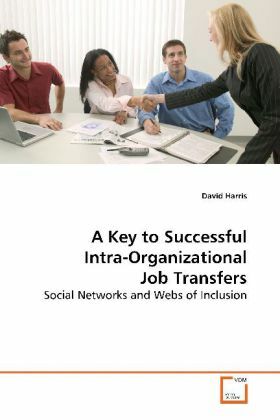 Each year more than 500,000 people accept intra-§organizational job transfers requiring them to §move across town, across the state, or around the §world. Companies spend an average of $40,000 on each §move. It is in both the transferees, and the §company s best interest that these transitions are §successful. Besides crossing a physical §boundary when moving, transferees must also cross §the inclusionary boundary at the new work site §before they can again become fully functional §employees. However, research indicates that the §organization cannot grant the employee access to §cross this inclusionary boundary. Permission can §only come from the other members in the new work §center. Research has shown that as much as 70% of §the knowledge a transferee must acquire in the new §work center is tacit, contextual, informal, §unofficial, shared, and emergent only within that §work center. To move from an organizational outsider §to an organizational insider, the transferee must §successfully develop a set of informational points §of contact and a set of friends that will provide §this information. These webs of inclusion are §critical to successful assimilation.